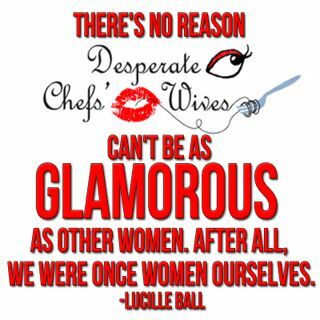 Desperate Chefs' Wives: Say It Ain't So! Right when I thought that the anticlimax of the holiday season would give Erik some time to recuperate I hear the two worst worst for a chef's wife: RESTAURANT WEEK. Picture me acting my disbeleife out Elaine from Seinfeld style while shoving Erik and saying, "Get OUT". 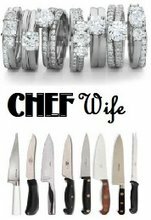 i am not a chef wife but a chef husband. i make all the money, pay all the bills, and take care of everything at home. she makes next to nothing, is never home, and barely makes the payments on her old credit debt and student loans. she works from 10am - at least 10pm if not longer on weekend nights, has sunday and monday off. 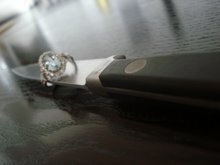 we have been married for 5 months and i cant deal with this lifestyle anymore. anyone else have a similar situation? i am struggling to keep this relationship going. we have issues now but no time to work through them and i am convinced that the lack of time we have together IS our issue.